The previous record wasn't even half that amount. Snap, Inc., the company behind Snapchat, just paid a staggering $7.7 million to acquire a “geofilters” patent and prevent it being snapped up by Facebook. It is believed to be “by far the highest amount paid” for a single patent in Israel — the previous record was less than half that — and it goes to local firm Mobli. It’s free to use Snapchat, but Snap monetizes the service by selling photo filters based on location that advertisers can buy. 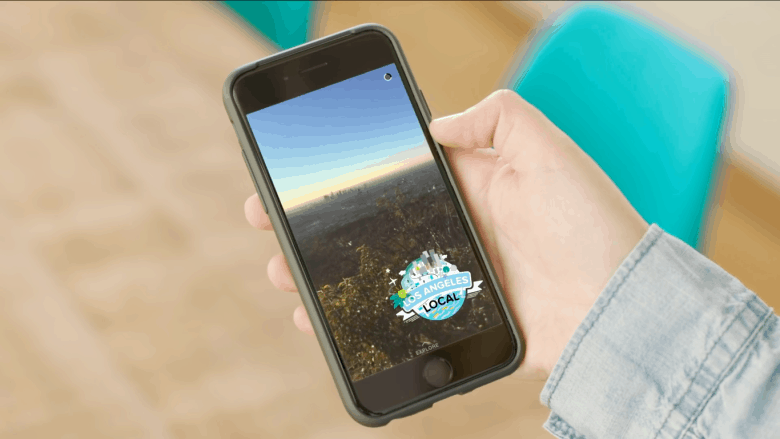 According to the company’s S-1 filing for its IPO, $360 million of the total $400 million in revenues it has made came from selling geofilters. Until now, Mobli, which was formed in 2010 but placed into bankruptcy in 2016 after failing in its efforts to compete with Instagram, owned the patent that covered this technology. Now company co-founder Moshe Hogeg has accepted a $7.7 million offer from Snap to hand it over. The news was confirmed in a confidential email to Mobli’s 100 shareholders, which was obtained by TechCrunch. The patent was titled “Methods and Systems of providing visual content editing functions.” It covered server-side filters — just like Snapchat’s — that were loaded from the internet rather than from the app’s local data. This negates the need to update the app every time a new filter is added. One source claims that Facebook, and other U.S. companies, weren’t offered the patent. However, it seems unlikely it would have sold for that kind of price if several big players weren’t fighting over it. It’s easy to see why Snap splashed out on it, though. It could have been blocked from selling geofilters in the future if the patent was picked up by a rival company, and that would have destroyed its main source of income.